Just south of Salinas, in the fertile Salinas Valley lies the town of Soledad. Soledad is at the heart of one of the richest agricultural regions in California. The entire city is surrounded by fields growing a bewildering variety of crops. Lettuce, tomatoes, asparagus, strawberries, grapes and broccoli and cauliflower are just a few of the foods grown here. Many fresh food and vegetable companies make Soledad their home including Dole and Taylor Farms. Soledad and the Salinas Valley have been the backdrop for stories by John Steinbeck, including Of Mice and Men and East of Eden, and the scene of strikes by the United Farm Workers. Today, of course Soledad is probably more famous as the site of Soledad State Prison and as the “gateway” to Pinnicles National Park. The valley between the between the Santa Lucia and Gabilan ranges has been inhabited for thousands of years. The Salinian people made it their home as did the Chalon, who were related to the Ohlone and other Costanoan peoples. The Esselen people lived in the valley also. All of the indigenous people lived by hunting and gathering, in small villages with no central authority. Evidence has been found of human habitation as far back as 3,500 years. On October 9, 1791, that all changed. Father Fermin Lasuen founded Mission Maria Santisima Nuestra Senora de la Soledad near the Esselen village of Chuttisgelis. The Mission’s early years were hard as the lack of water in the summer and cold temperatures in the winter took their toll on the Franciscan Missionaries and the Native Peoples. By 1810, the original wood and brush structures had been replaced by an adobe quadrangle and the buildings consisted of a chapel and a church, a dormitory, four granaries, offices, a mill, an unmarried women’s quarters, a tannery, two warehouses, a hen house, a soap making shop and several other outbuildings. Water was provided by a fifteen mile long aqueduct from the Arroyo Seco River. The mission grazed sheep, had a five thousand grape vines planted and an orchard. 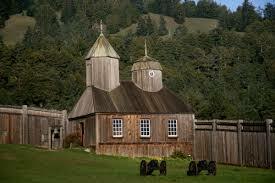 There were also six hundred horses and six thousand head of cattle on the mission’s lands. The mission reached its peak population in 1805 when there were seven hundred twenty seven people living at the mission. In 1803, Father Florencio Ibanez arrived at Mission Soledad. He remained the priest there for the next fifteen years and made many improvements. 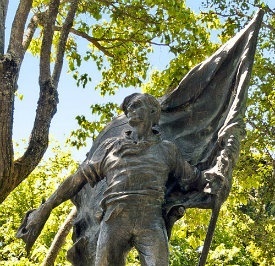 Governor Jose Joaquin de Arrillaga who was the seventh and tenth Spanish Governor of California died at the mission in 1814 and is buried there. 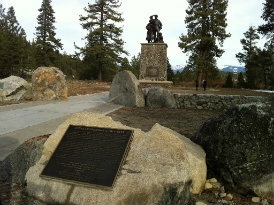 He is the only Spanish Governor of California to be buried in California. His friend Father Ibanez died four years later and is also buried at the Mission. After the death of Father Ibenez, the last priest at Mission Soledad, Father Vincente Sarria arrived. Floods in 1824, 1828, and 1832 destroyed the church and chapel. They were not rebuilt. He remained in charge of the Mission until it was secularized in 1835. During its time as a Franciscan Mission, 2000 baptisms and 700 marriages were conducted at Mission Soledad. After secularization, the mission was abandoned. 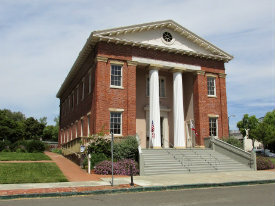 In 1845, Pio Pico sold the mission for $800 to Feliciano Sobranes. The mission buildings were stripped of anything of use and left to deteriorate. On May 23, 1862, President Lincoln signed a decree which returned all former mission sites to the Catholic Church. By then the mission was a ruin and not reoccupied. 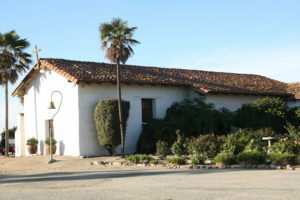 In 1954 through 1961, the Mission chapel and dormitory were reconstructed by the Diocese of Monterey, with funds provided by the Native Daughters of the Golden West. Further archeology and preservation efforts have continued to the present day. Mission Soledad is now a chapel under the auspices of the Diocese of Monterey. The graves of Father Ibenez and Governor Arrillaga are remarked and the Diocese has a museum illustrating life at the mission and the life of the Native Peoples of the Salinas Valley. There is a small gift shop and the unrestored remains of the rest of the mission have been protected and stabilized. There are plans in place to restore the rest of the mission. GETTING THERE: From 414 Mason Street, take US 101 South. Take exit 301 onto Arroyo Seco Road. Turn Right onto Fort Romie Road. The Mission is at 36641 Fort Romie Road in Soledad. The Mission is open daily from 10:00 am to 4:00 pm except for Christmas Day, New Year’s Day, Thanksgiving and Easter. There is a Mass held on the first Sunday of each month at 10:00am.